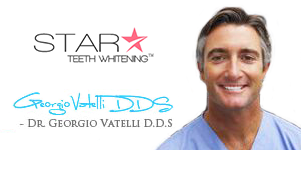 Teeth whiteners are now widely used all over the world for whitening teeth and removing stains and yellowish marks. Different teeth whiteners include whitening toothpastes , rinses, trays, strips, over-the-counter whitening gels and other whitening agents to be obtained from a dentist. Teeth whitening with the use of these available whiteners are the best way to restore your teeth color while preventing your gums from further damage. Individuals having yellowish tooth color respond very well to these teeth whiteners. Before you proceed any further, you must learn which teeth whitener is the best for you. In order to learn more about that you must understand the different teeth whitening systems available today. One of the most popular teeth whiteners are the whitening toothpastes. As these are readily available on the market, people often prefer to buy the same rather than heading for any other method of treatment. Whitening toothpastes help in removing the stains due to their abrasive properties. Some toothpaste contains polishing agents or chemicals as well for providing an additional effect. However, whitening toothpastes can only remove the stains appearing on the surface of the teeth and they do not contain any bleaching chemical, unlike the professional teeth whiteners containing hydrogen peroxide or carbamide peroxide. Whitening toothpastes usually have a mild effect on your teeth and it can improve your teeth color by one shade. These teeth whiteners are basically peroxide based strips or gels that makes your teeth whiter. These products are to be used for 14 days at a stretch and not more than that. As these products contain bleaching agents results tend to manifest within a few days of use. The final result usually lasts for about 4-6 months depending on your food habits. Whitening strips have also become increasingly popular considering the ease of use. These strips are to be applied twice everyday for about 30 minutes. At-home teeth whitening products are basically the tray-based whiteners containing peroxide gel. These treatments are very popular and effective as well. These whiteners can be purchased over-the-counter to be used at home at one’s own leisure. These are basically custom-made trays that need to be worn for a considerable period of time for effective results. The trays are filled with peroxide based gels that produce the whitening effect when used for some time. People prefer using these whiteners at night when sleeping. In-office teeth whitening system are the quickest ways to whiten your teeth. With these teeth whitening treatments you can now get back your dazzling white teeth in less than an hour. In approximately 60 minutes you’ll get bright white teeth that last for years. Such dramatic results cannot be produced by any other existing teeth whitener. Teeth whitening rinses are the latest teeth whiteners available today. These are quite similar to mouthwashes that help reduce dental plaque and gum diseases. It further freshens up your breath. These products contain peroxide solutions as well that helps in bringing the whitening effect. Whitening rinses are the most inexpensive teeth whitening solution available today. Your 1 month supply would cost about $10 and it takes approximately 12 weeks for the results to manifest. Nonetheless, experts suggest that rinses might not be as effective as the over-the-counter solutions or products. Whitening isn’t a permanent solution no matter how expensive the teeth whitener you use. People who consistently expose their teeth to the dark colored foods and beverages are more likely to see the results fading in a couple of months, if not earlier. However, people who avoid these foods are likely to have the whitening effect up to one year. Different people respond to the teeth whiteners differently. Depending on the condition of your teeth, the nature of your stain and the type of whitener used, the results will vary. There is a vast difference between the two methods of teeth whitening although the whiteners used are almost the same, which is peroxide. Usually the over-the-counter products use mild bleaching agents. Only about 10% of carbamide peroxide, which is equal to 3% of hydrogen peroxide, is used. These products have very little effect on deeper stains. On the other hand, the professional tooth whiteners contain hydrogen peroxide in higher concentrations, up to 15 to 43 percent. Dentist supervised at-home treatments are also more effective than the whitening toothpastes and gels available today. With the dentist-supervised teeth whitening trays, better contact is established between the teeth and the bleaching agent, thus giving you better results. As these trays are custom-designed, better contact is ensured. However, with the over-the-counter trays one cannot make such claims. These trays are meant for everyone without taking mouth impression. It might fit in your mouth but not in mine, thus giving unfair results. The dentist-supervised treatments are more effective with the additional protection before, during and after the treatment as well. Before the treatment, you are recommended to relax and be in a comfortable atmosphere after which a protective rubber shield is placed on your gums for protection and then the treatment is carried out. However, with any over-the-counter session, these protective measures are not ensured. Any time if the whitener or the bleaching gel leaks, it can cause extensive gum damage. The only single factor that ensures the sale of the over-the-counter teeth whiteners is its price. While the dentist supervised cosmetic treatments cost between $350 to $900, if not more, the over-the-counter options cost range from $20 to $150. Taking all these important factors into consideration you have to determine the best suited teeth whitener for yourself. If you think its going to be tough, I suggest you should seek a dentist’s help. A dentist can give you apt suggestions and treatment plans that might suit your budget. There isn’t any teeth whitener that can give you life-long whiteness. Nonetheless, you should try to find one such whitener that gives you long-lasting effects at least.